Cleveland Browns wide receiver Dante Stallworth will sit out the 2009 football season, a suspension imposed by league commissioner Roger Goodell, as a consequence for a DUI accident in Florida that left a man dead. Stallworth hit Florida construction worker, Mario Reyes with his Bentley while driving with a blood alcohol limit of 0.126 on March 14th of this year. He was charged and convicted with manslaughter for the accident but sentenced to just 30 days of jail time, far less than the maximum possible sentence of 15 years of prison time. The lenient sentence, which included other punitive elements, such as home arrest and community service, was granted with the blessing of the Reyes family after Stallworth accepted full responsibility for the incident and made financial amends in a private civil settlement. Stallworth ultimately served 24 days in jail prior to his release. Stallworth’s breach of the law also put him in violation of the league’s substance abuse and personal conduct rules. He had been on indefinite league suspension while awaiting Goodell’s verdict on the violation, and had said that he was ready to accept whatever sanction the league imposed. In a sentencing letter to Stallworth, Commissioner Goodell wrote, "In my view, the essential facts are that you had alcohol in your system well above the legal limit, made a conscious decision to drive, and struck and killed a man. As you recognize, this conduct and the loss of life has caused serious damage to the NFL and NFL players generally. Legal arguments that focus on criminal liability under Florida law do not diminish that damage or your responsibility for your conduct." Goodell called Stallworth's actions a "stain" against the league and all NFL players and imposed a full season suspension. Leonard Little, of the St. Louis Rams, had previously earned an 8 game league suspicion for a DUI that left a woman dead, roughly half the sentence imposed on Stallworth. In an unofficial comment, Stallworth tweeted on the league sentence some hours prior to releasing his official version, saying, "TO ALL MY FAM IN THE LEAGUE: GOD BLESS YALL, STAY HEALTHY, GOOD LUCK THIS SEASON!!! I'M WATCHIN EVERY F---IN GAME." 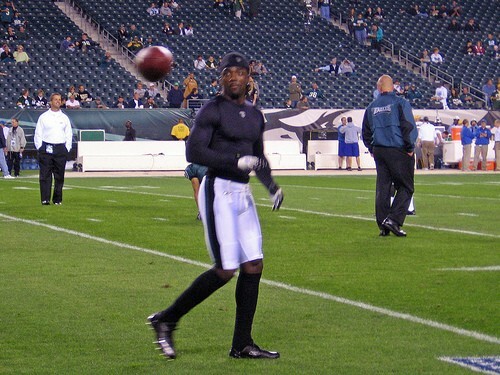 Stallworth will miss this season without pay and will suit up again as an NFL player only after the completion of the Super Bowl in 2010. Analysts doubt that he will again play as a Cleveland Brown. Editorial and blogger reaction to the harsh league sentence has been mostly favorable, with a general sense expressed that the league is justified in balancing an overly lenient criminal sanction with a very tough professional suspension.